The Kafue Catchment is subdivided into two collective basins: Upper and Lower Kafue Catchments. The Kafue catchment is generally considered in the provision of high agriculture potential as it has good access to water. In addition, it provides the city of Lusaka with almost half of the necessary water resources. The land cover in the Catchment is such that; the distribution of crop-land is predominantly scattered as well as in coverage of land type. Land classification of the Upper Kafue Catchment is such that it supports less cropland which generally attributes it to poor soils and limited accessibility. 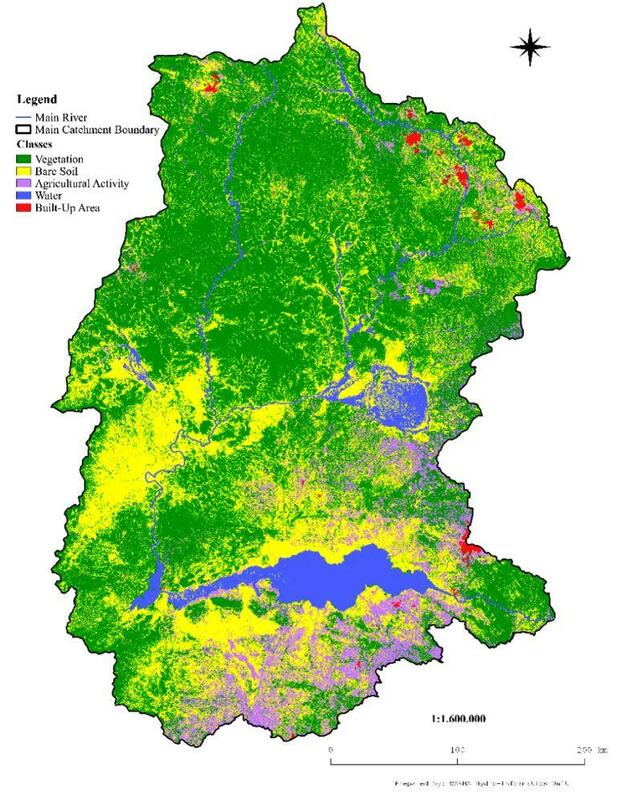 On the other hand, Lower Kafue Catchment shows a predominant density of high croplands. The Kafue catchment is generally considered in the provision of high agriculture potential as it has good access to water. The household sitting within the Catchment is 1,296,685 representing 52% of all the households in Zambia. This means that within the 38 Districts in which the Catchment lays, there are 1,296,685 households representing an approximate total population of 6,610,594 or 50% of the Zambian total population. Besides the vast population growth in the Catchment, it has been also realized that the Kafue Catchment plays a central role in Zambia’s economy as most of the commercial and domestic water use activities lay this catchment. Several general specific water demand and water use in the Catchment also includes industrial, mining, commercial, hydropower, agriculture (irrigation and aquaculture), environmental and recreation. Copyright © 2019 Water Resources Management Authority. All rights reserved.